Black chalk, inscribed in pen Bossi; 187 x 238 mm. PROVENANCE: originally part of an an Album amicorum owned by Teresa Barzellotti Benvenuti, daughter of the painter Pietro Benvenuti. The drawing is connected, as Emiliano Orsini pointed out, with one of the most celebrated paintings by Giuseppe Bossi, Il Seppellimento delle ceneri di Temistocle in terra Attica (The Burial of the Ashes of Themistocles), now at the Accademia di Brera, in Milan. 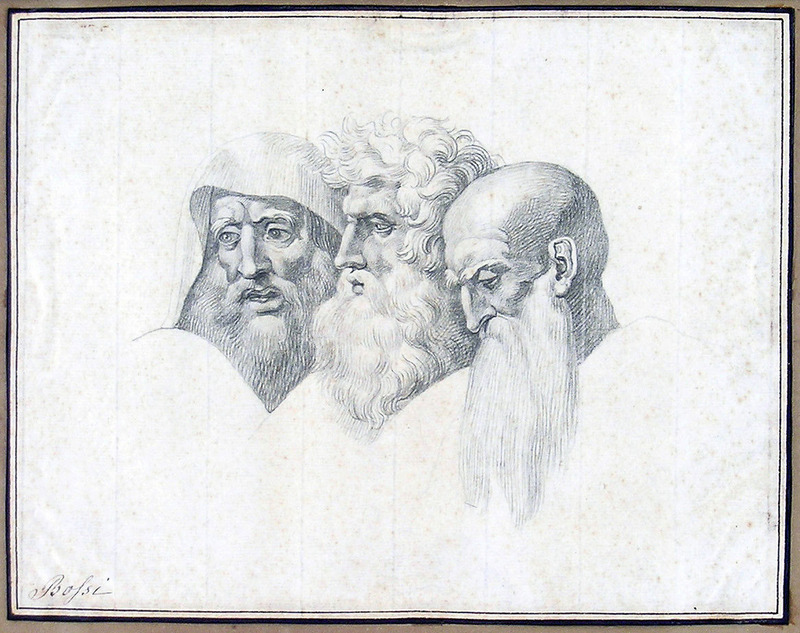 Bossi trained, at the Brera Academy, with Giuliano Traballesi and Andrea Appiani, a friend with whom he later collaborated. 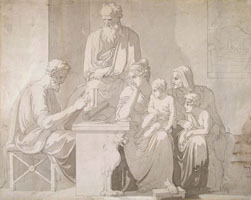 In Rome between 1785 and 1801, he studied Michelangelo and began a long friendship with Canova. In 1802 Bossi travelled to Lyon, France, where he met Neoclassical painters such as Jacques-Louis David. In addition to being a designer and an academic painter, Bossi was an intellectual and a scholar. He played an important role in Napoleonic Milan. His Jacobin sympathies gained for him the position of secretary of the Brera. Because of Bossi's reforms, which formed the foundation of the Italian academic system, the Brera became the most prestigious academy in Italy. 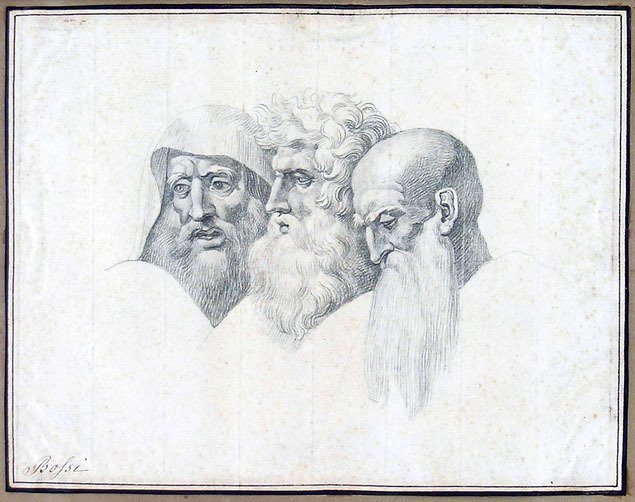 During his short life, Bossi wrote poetry, criticism and art history, and formed an important collection of old master drawings, as well as a rich library.